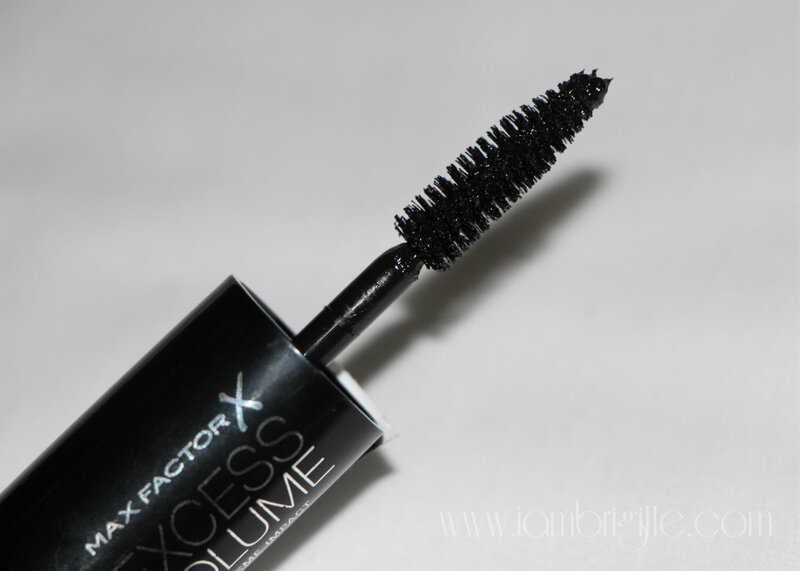 IAMBRIGITTE : Product Review: Max Factor Excess Volume Mascara…. 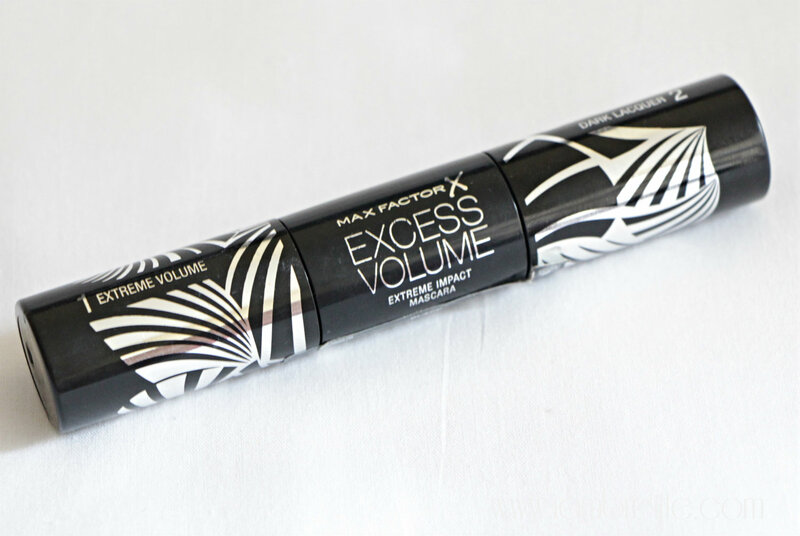 Product Review: Max Factor Excess Volume Mascara…. I wasn't born with long, luscious lashes so whenever there's a new mascara in the market which promises to make my lashes appear more vava-voom, you can bet I'll be all up for it. 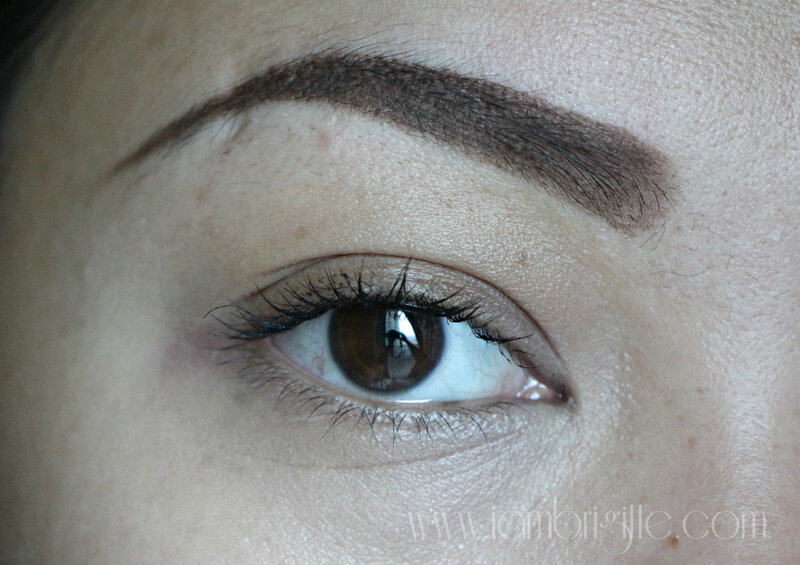 I am almost done with my second tube of the Lancome Hypnose Star Waterproof Mascara and though I still have another Lancome mascara in my kit, I wanted to try something else. Probably something that doesn't come with a hefty price tag (Lancome costs Php2k a pop!) so just in case I'd end up loving it, my wallet won't end up crying. Haha! 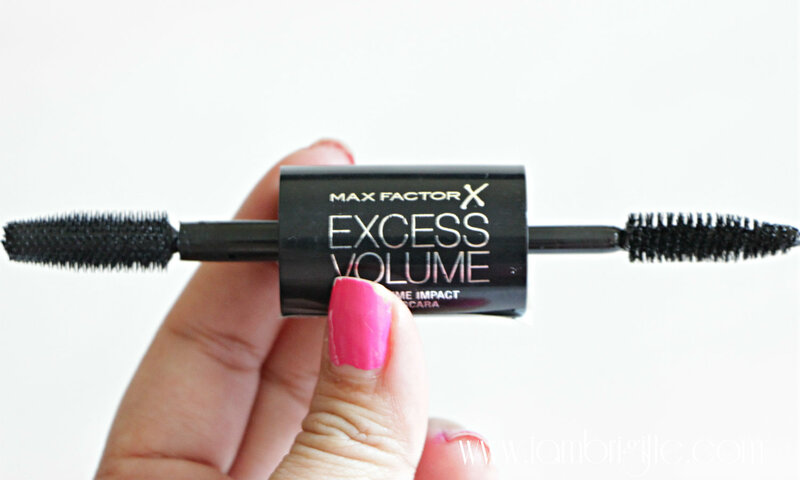 So when I got my July Glambox, and found this Max Factor Excess Volume Extreme Impact Mascara (such a mouthful, whew!) in it, I was just too happy. I've read a lot of good reviews regarding this mascara and I had high hopes that this will work great for me too! 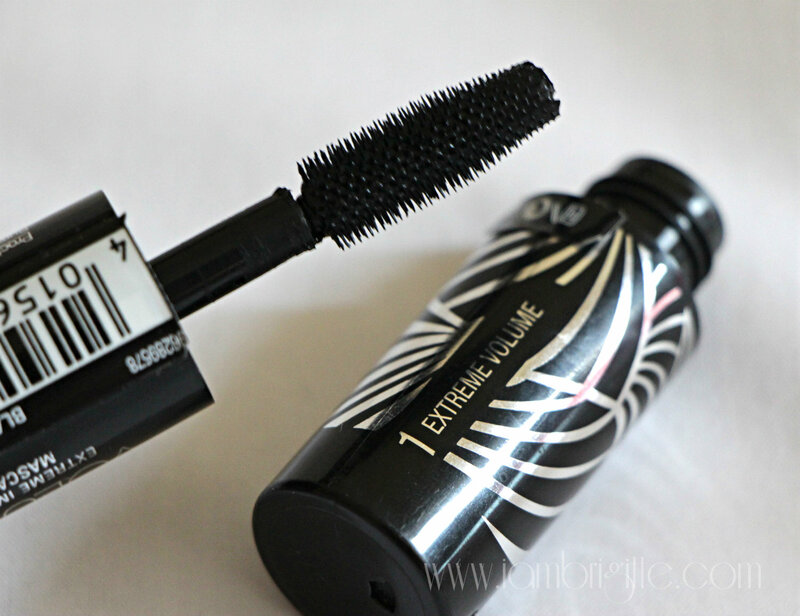 As per the brand's website, this mascara has the combination of a volumizing base and an intensifying lacquer that will take your lashes to the extreme. This mascara is dual-ended, which honestly, I'm not a fan of. 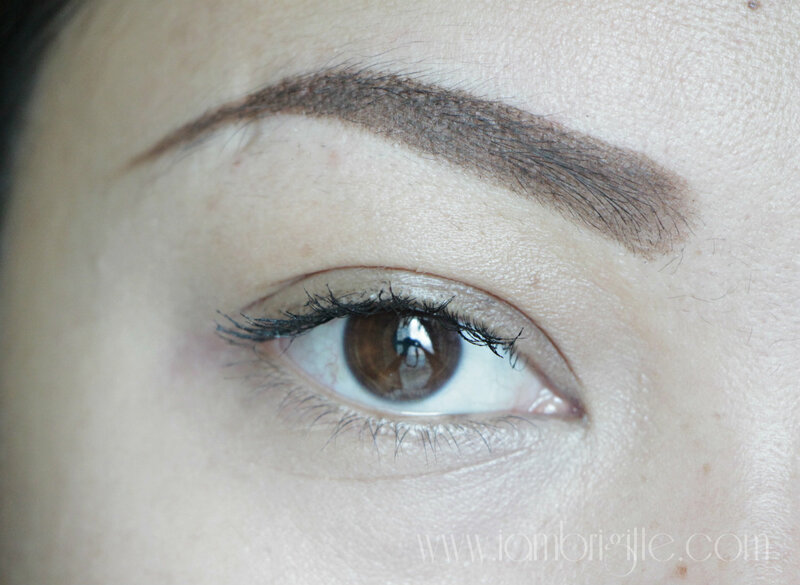 I just prefer something that will give my lashes a boost without taking extra steps. It's just my preference…so don't hate me. First, use the end of the wand labeled as 1. 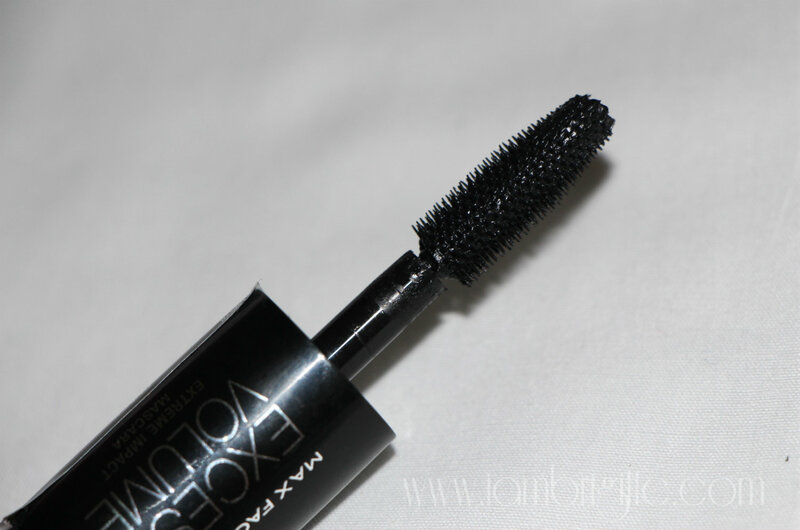 You'll notice that this wand has short, closely placed bristles designed to give lashes volume. 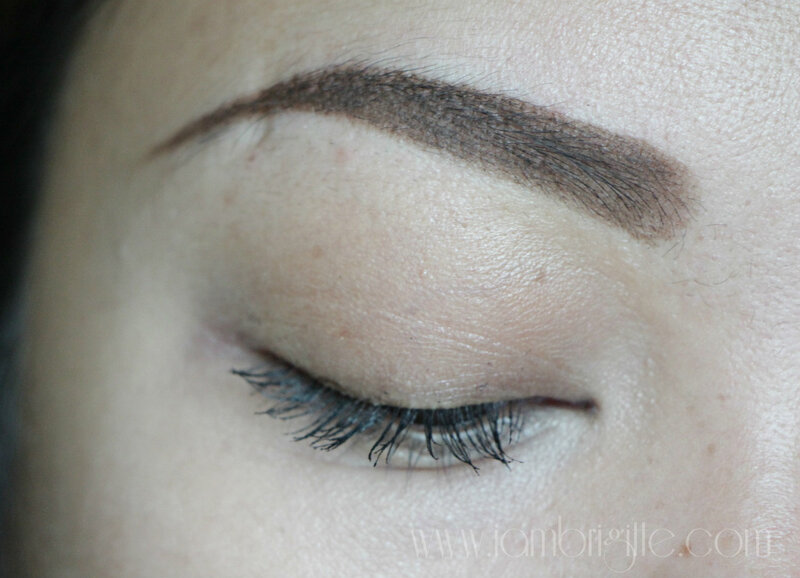 Start from the base of your lashes wiggling the wand on its way up. Immediately after step one, use the other end labelled as 2. 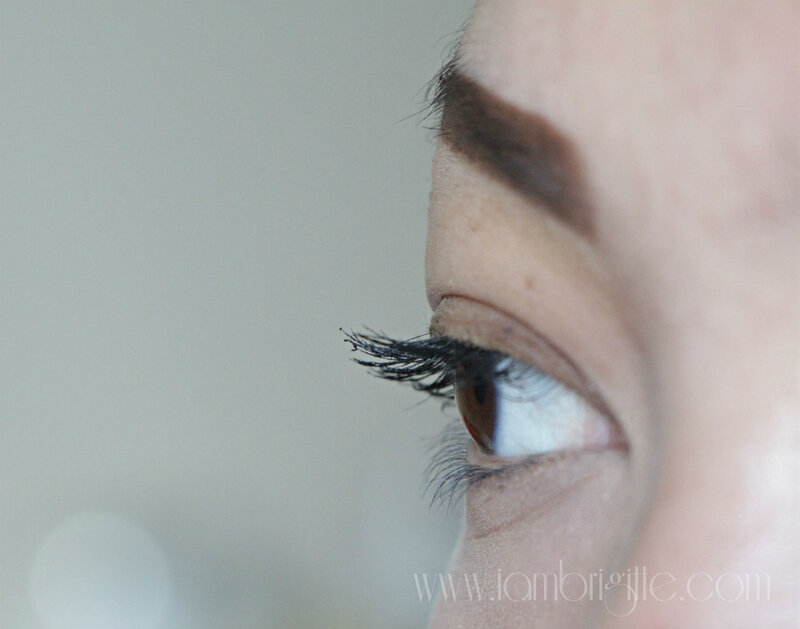 This time, the wand has longer bristles for lengthening those lashes. 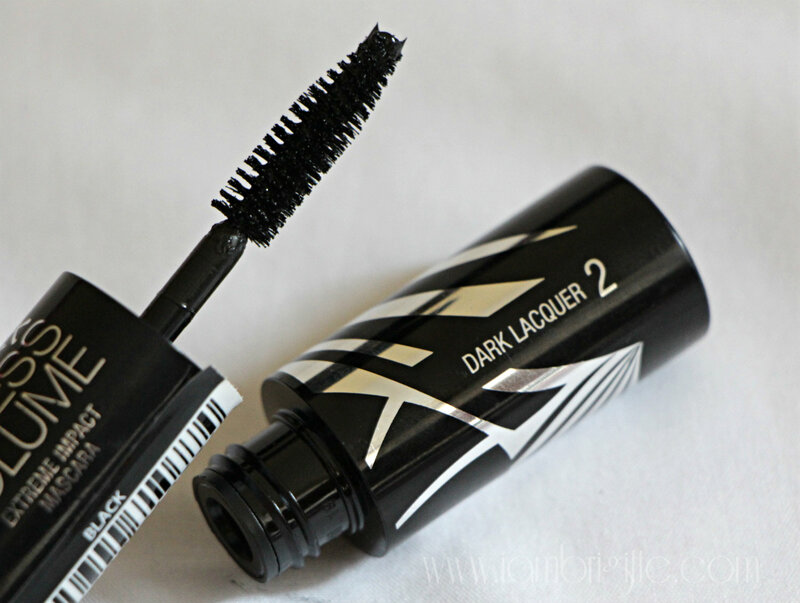 It also has the Dark Lacquer formula to give your lashes that jet-black finish. Excuse the smudging on the lid. 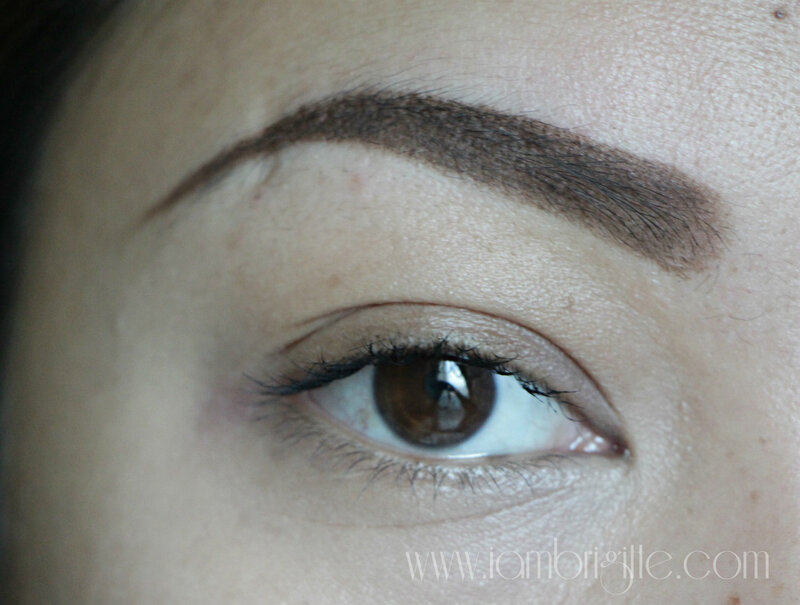 I usually end up with such whenever I'm using a fat mascara wand. At this point, I don't want to proceed with step 2 anymore as I just really hate it when a mascara weighs down my lashes. But for the sake of this review, I went ahead with Step 2. Where did my curl go? It did give my lashes some volume but they do appear wonky, no? But I also want my curl! It makes my eyes more awake, most especially when I'm wearing dark eye makeup. So yes, this mascara is a big disappointment for me. I've tried a lot of times actually, and still end up with this. 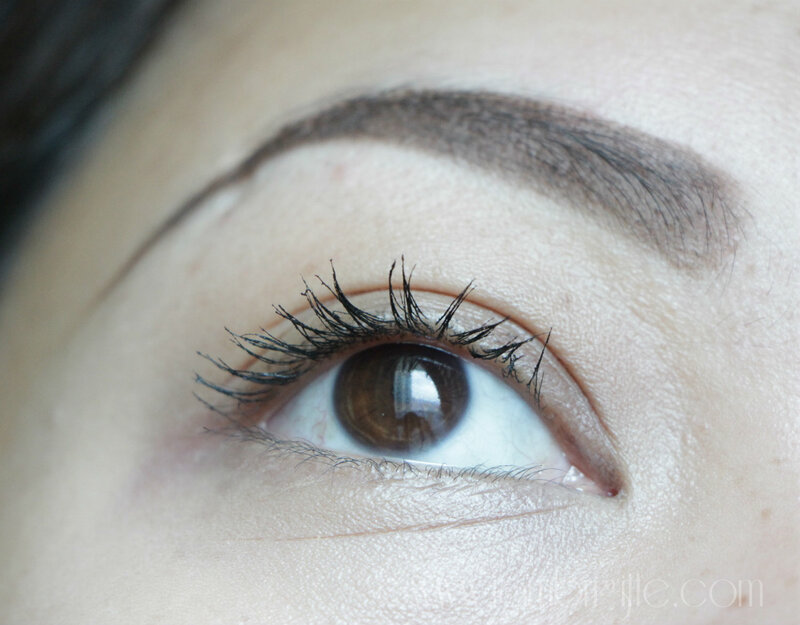 But do take note that I have thin lashes to begin with and probably the formulation is just too thick for my lashes. I've tried applying the dark lacquer first, and it did the same thing. I also tried not curling my lashes first and just use this mascara hoping that it will give me a curl. But I just ended up with stiff looking, straight lashes. I really wanted this to work on me, but I guess we're not just meant for each other. 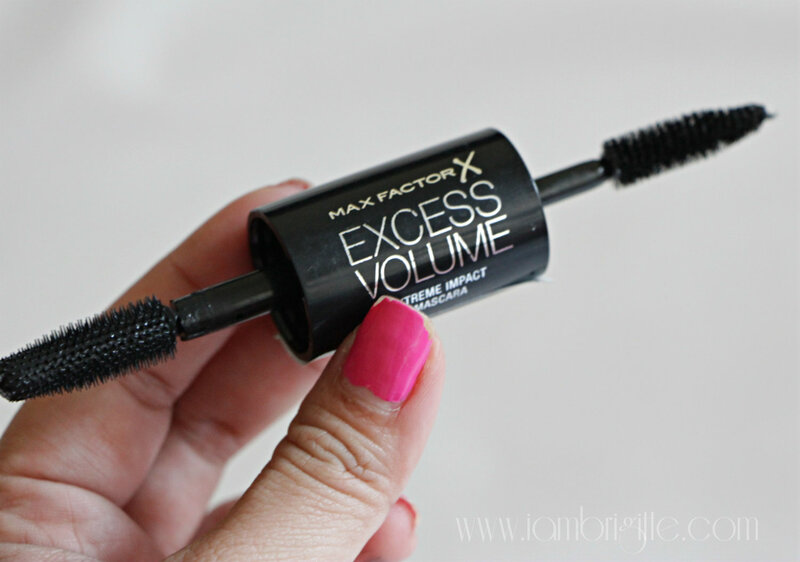 It breaks my heart as I've used a lot of Max Factor mascaras in the past and I don't remember getting disappointed. This is the first time! I also find the packaging too chunky. 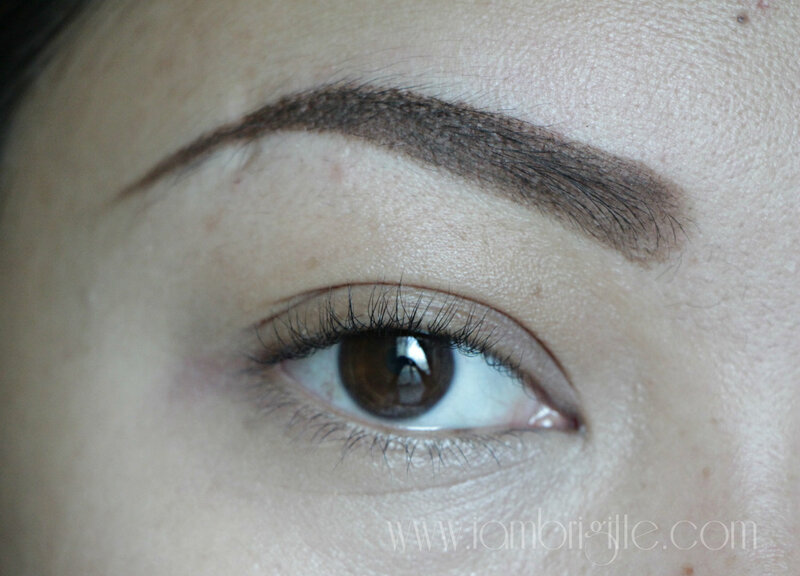 The wands are also short so you might also have a bit of difficulty at first in bringing the brush into the corners of your eyes to amp up those little lashes. Oh well, I will definitely not tell you not to give this a try because as I've mentioned earlier, I've read a lot of good reviews on this mascara. Who knows, it might work for you. But for me, sorry, I can't think of something that I like in it. Weighing down my curl is the deal-breaker, period. Yeeey!! Thanks Brigitte for the recommendation. BTW, I am one of your follower sa IG hihihihihih... thankie! !